How To Answer Or Respond To A Lawsuit In Michigan??? How To Respond To A Complaint If You've Been Sued ? Have you been sued or served with a lawsuit? If you have received a summons and complaint, that probably means you are being sued. If you do not file a written answer response within the required time (21 days or 28 days if you were served by mail), the “plaintiff” (the party suing you) can ask the court for a default then default judgment against you for everything she or he asked for in her /his/its complaint. After the plaintiff gets a default judgment, he/she/its can try to garnish your wages, attach your bank account, or take your property. the statement is true or false, the defendant must state that he or she does not have enough information to admit or deny that statement. Paragraph 1: The Defendant did somesthing wrong hurt he Plaintiff. Paragraph 2: The Defendant breached the contract with the Plaintiff”. After answering each aragraph in the complaint, you need to state any affirmative defenses or counterclaims you have. An affirmative defense is an explanation by you of why the Plaintiff is wrong and why you should win the lawsuit. Lack of personal jurisdiction – you were not properly served with the summons and complaint. ​Finally, you must determine if you have any counterclaims. You need to file your counter complaint with your answers. 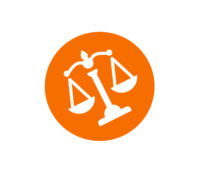 If you believe you have been sued, and you need to review your options, talk to us . We are dedicated to aggressively defending your rights. Call our law firm today at (248) 281-6299. 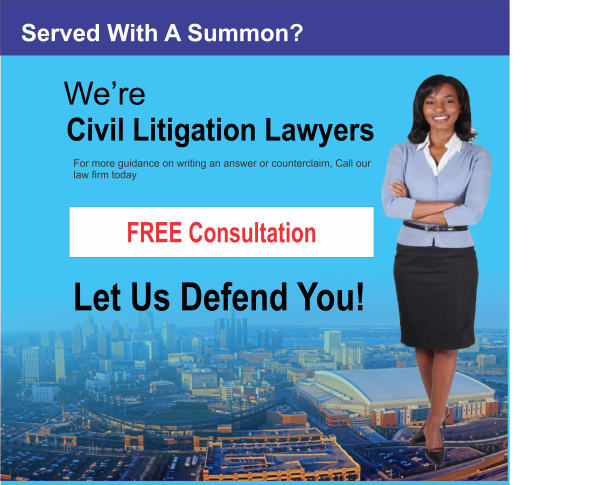 Free Consultations for all civil litigation in Michigan.